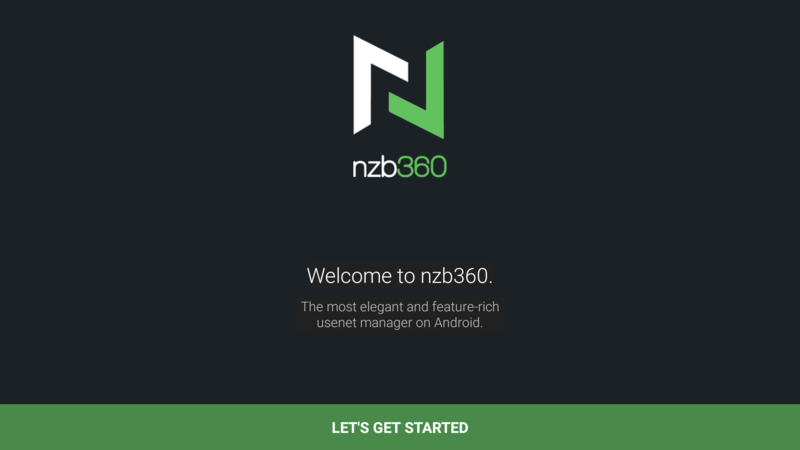 +1 on this request I'm thinking of getting an NVidia Shield for my second TV and nzb360 support would be great. 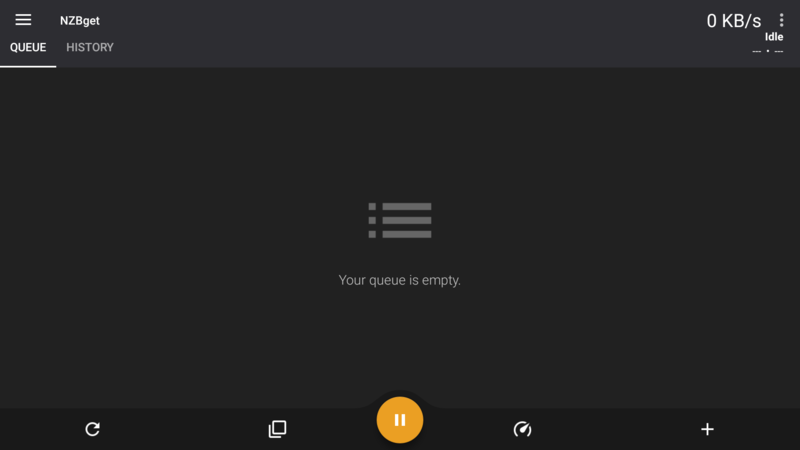 I typically have my phone in my pocket so it's not a huge deal but it would be nice and it seems not too much would have to be done to properly support Android TV. I am not sure how I missed this thread until just now, but OMG would I love to be able to hand the remote to my roommate and have him add/manage his own shows. I would even be willing to purchase an Android TV specific version or IAP to unlock a 10-foot interface or what have you. Interesting. I will look into adding proper dpad support. I think the responses to this thread should show you that there where many people who would love a good remote-control support and AndroidTV support. If you need a beta tester, please write me. I own a ShieldTV and 2 FireTV devices. I can test everything what you want. I can send you logcats, screenshots and perhaps we can find a kind of teamviewer for my ShieldTV. 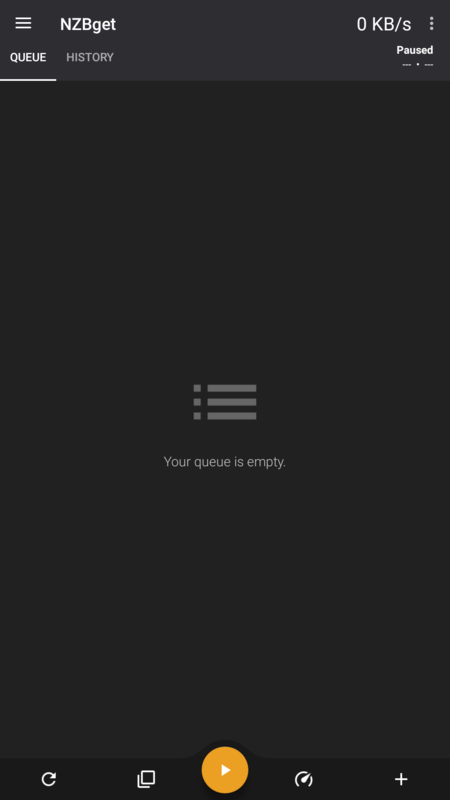 I think it would be really good for your app and not a lot to do for that huge benefit. 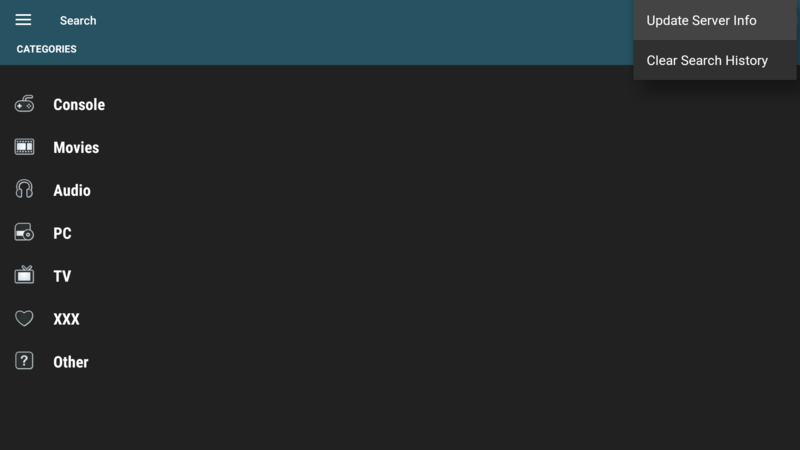 -There is no launcher icon for the AndroidTV-Launcher. 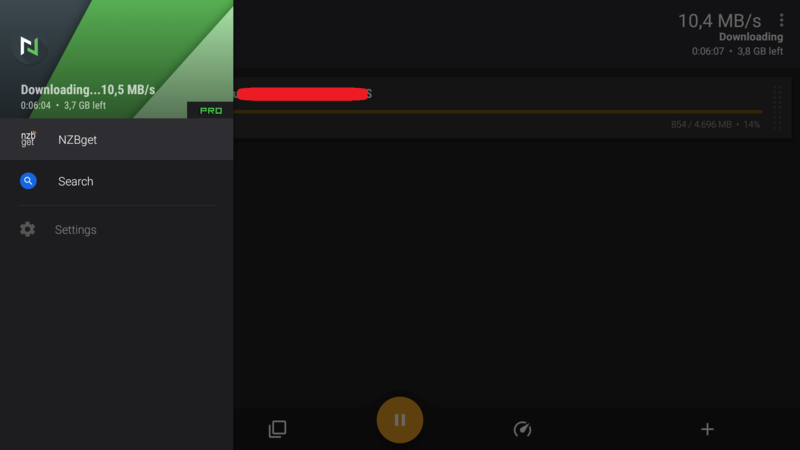 This is really necessary for using the app without problems on AndroidTV. And it is easy to integrate it into your app. I think it was just an icon and a adding a line in the manifest. -On the first startup (Lets get startet button) it is not 100% clear, what to do with the remote to get push the "Lets get startet" button. A little hint would be nice to press the enter button on the remote. -It is easy possible to walk through app-setting area and to do text-input with the remote. You can allways see where the focus is at the moment. But sometimes it is not possible to use the remote. 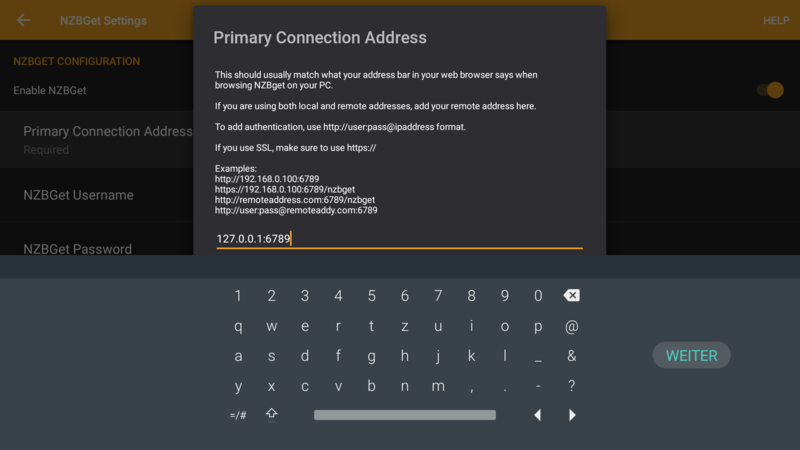 For example the "Test connection" button within nzbget-configuration is not possbile to press, you will need a keyboard for that. -It is not possible or in other words not easy to navigate with the remote to the feed-control-area in nzbget. So you need a keyboard or mouse to start-stop-pause/refresh and so on. 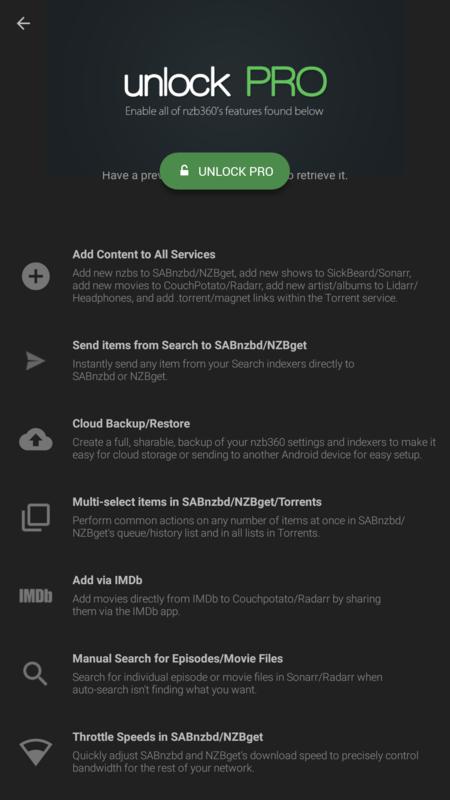 -The "update server info" function within the newznab area, let crashed the app. -The unlock the pro feature dialog would be nice in widescreen. Also it is not possible to switch back to widescreen-mode. 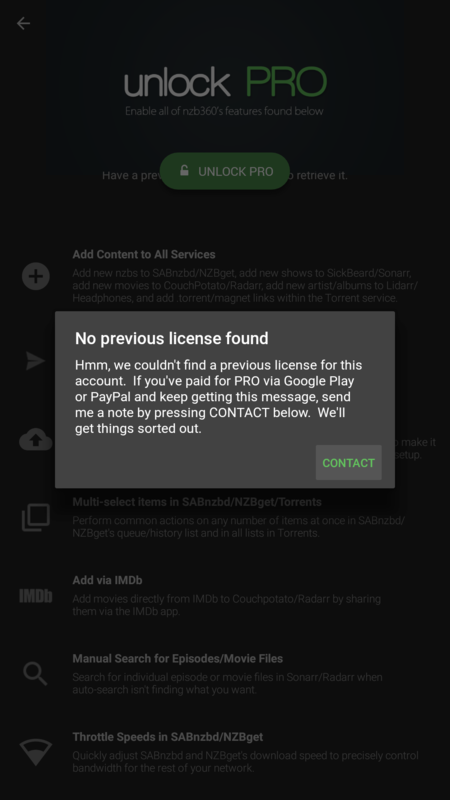 -"No previos licence found error"
-You need to buy a licence with an android-phone. 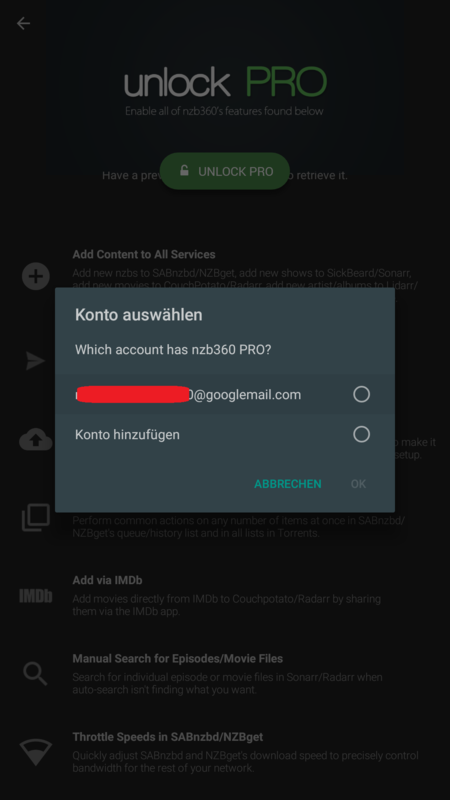 Then it is possible to use the pro-app within androidTV. 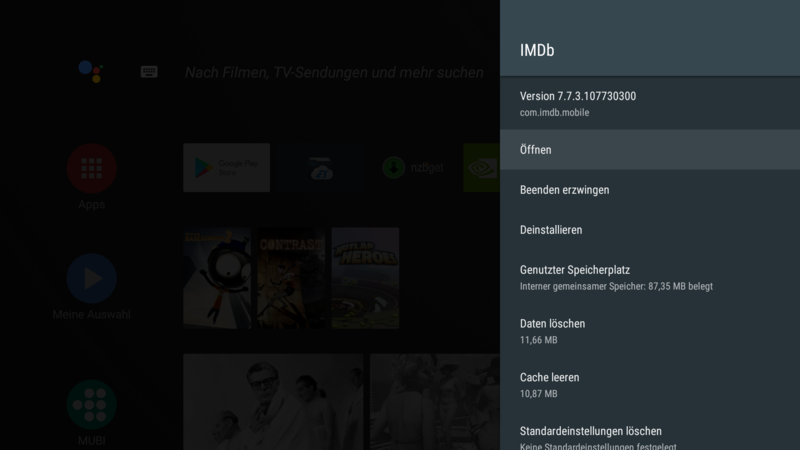 -There is no IMDB AndroidTV app but you can sideload the com-imdb.mobile apk. Sadly it is not really usable. 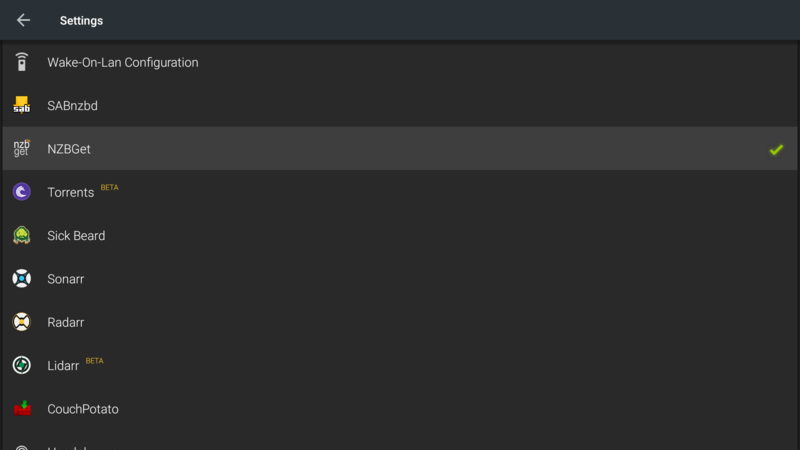 Perhaps you can setup a androidTV emulator to test some androidTV changes. 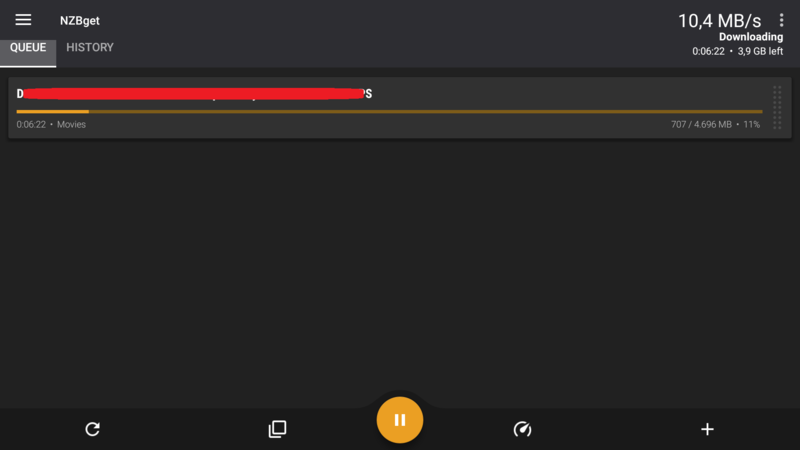 Should be possible with Android-Studio. Thank you for the detailed results on how well (or not) this works! I'll look into downloading an emulator and seeing if I can make it a little easier for AndroidTV owners. 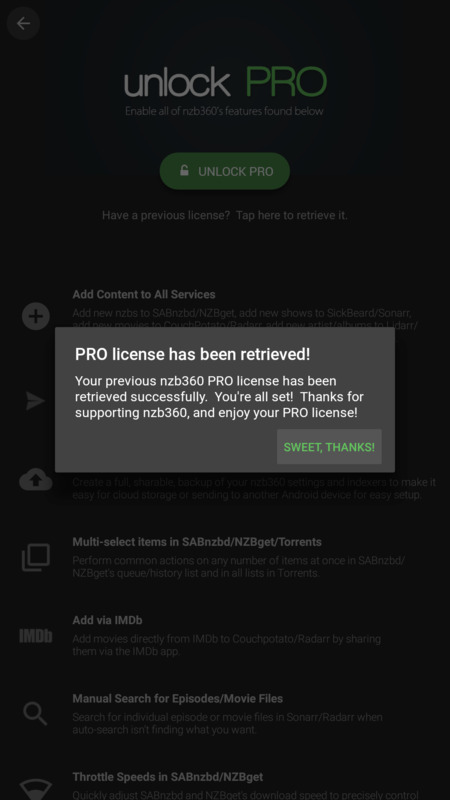 THX for the reply and the good news for all AndroidTV owner. If you need any informations where I can help, please write me. I think really useful could be at first the Launcher icon as I mentioned already and a better DPAD remote control (with a kind of highlight of the actual selected areas). Did you need a logcat for the crash? 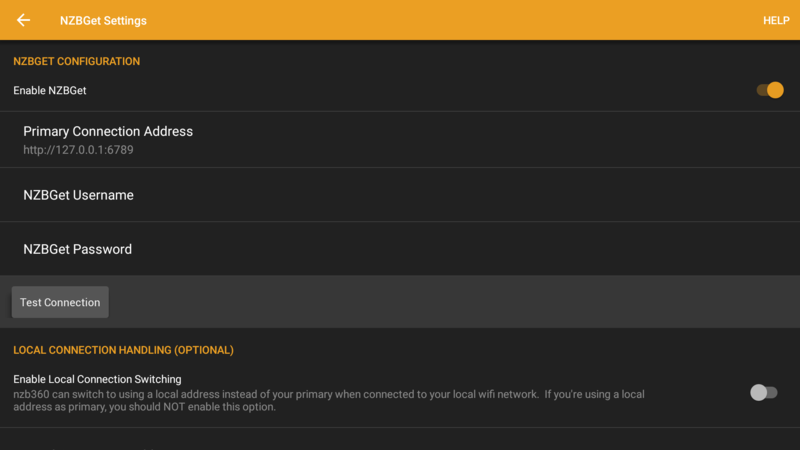 I made an account just to express my support for this -- I'd happily pay an additional cost if needed, or send you a small donation to support the development of an Android TV client. It would be much easier to get my SO on board if she could just use the shield interface rather than her phone which is often dead or in another part of the house. 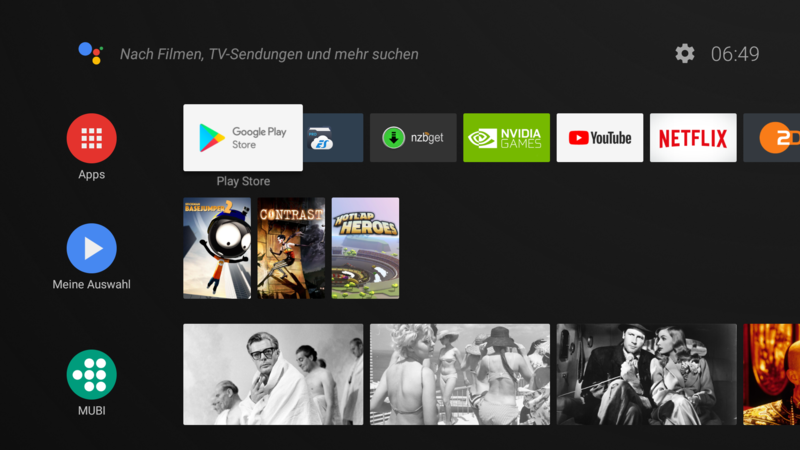 I would be significantly impressed if there was integration with the search functionality built into android tv, but even a usable interface would be great. If you need beta testing let me know. Many thanks, you have made a great app.